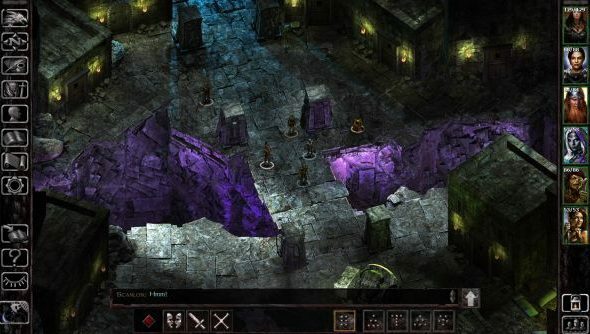 The magnificently named Beamdog recently released their Siege of Dragonspear expansion for Baldur’s Gate, telling the story between the main two games. It’s been a rocky launch, a number of bugs having slipped through in both single and multi-player. Certain voices also showed up to complain about a trans character, and that an out of place line of dialogue seemingly took a potshot at Gamergate. Company CEO Trent Oster has issued a statement about all these issues, promising fixes for bugs, improvements for the character Mizhena and the removal of the line. Here’s a list of the best RPGs on PC, if this one didn’t take your fancy. In the statement, Oster thanks fans for their feedback, but makes it clear that the personal statements being made about individual employees, as well as predictable online threats and harassment from where you would expect, won’t be tolerated. As for the feedback itself, he agrees that Mizhena could have been introduced better, and promises that they will be “improving” her in a future update. Presumably, that will come in the form of a more in-depth conversation with her, and further explore why she chose to change her gender. While there were plenty of bigoted complaints that she existed at all, feedback that her dialogue about the matter was hamfisted has been taken on board. As for the bugs, Oster says they’re excising them as fast as possible, “We’ve received valuable feedback around some bugs we failed to catch for ship. We’re hard at work right now patching up the issues that slipped through and we’re striving to ship fixes and improvements quickly.” He also specifically mentions multiplayer as a target area. Read the full statement over on the official forums. Hopefully Beamdog can now get back to fixing their game, and developing whatever’s coming next, with the help of David Gaider, previously the lead writer on Dragon Age.